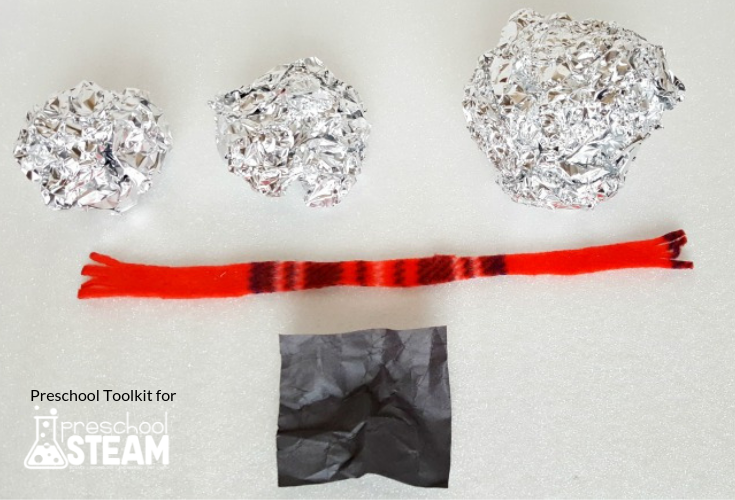 Kids can make a snowman without any snow in this fun STEAM activity. 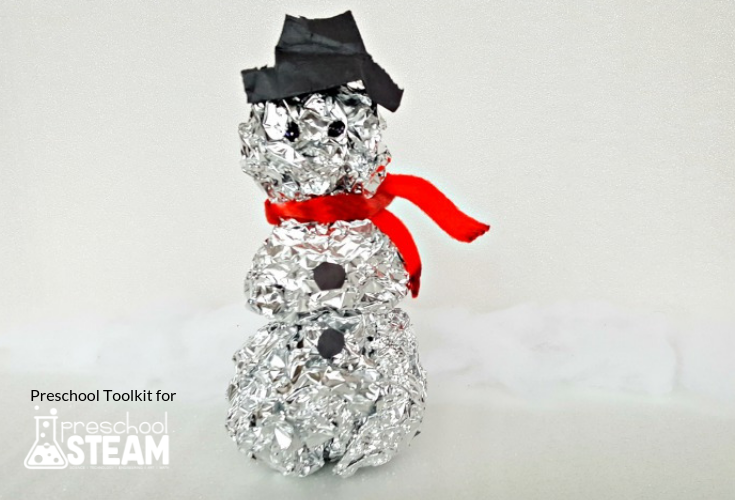 Using aluminum foil instead of snow to build a snowman is an interesting challenge for kids, and promotes critical thinking and creativity. 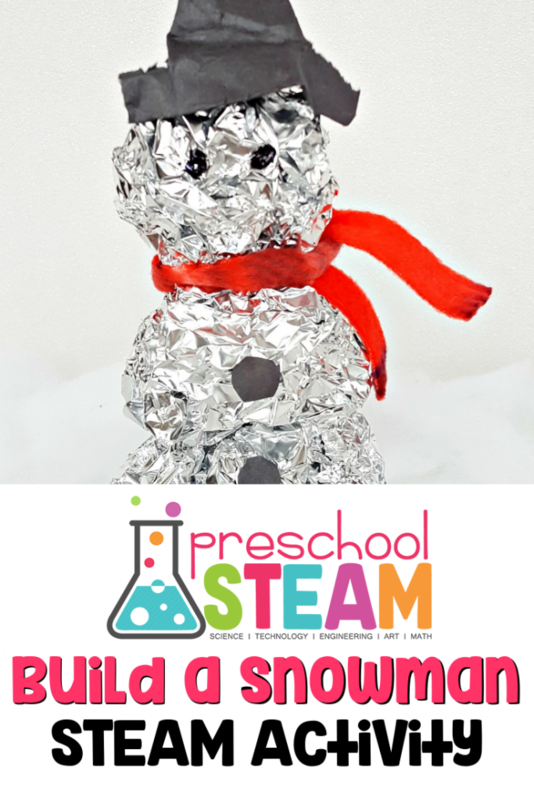 Can you make a snowman indoors with aluminum foil? Aluminum foil feels smooth and slippery so snowballs might be difficult to stack. Provide 3 sheets of aluminum foil in 3 different sizes. Crumple the foil in your hands to make 3 snowballs. Stack the balls of foil to make a snowman. If you decide to add features, such as eyes and buttons, it might be easier to add them before starting to build the snowman. The scarf can be added before the head, and the hat added last. Does the foil still feel smooth and slippery when it is crumpled? Does the texture of the foil help the foil snowballs balance when stacked? 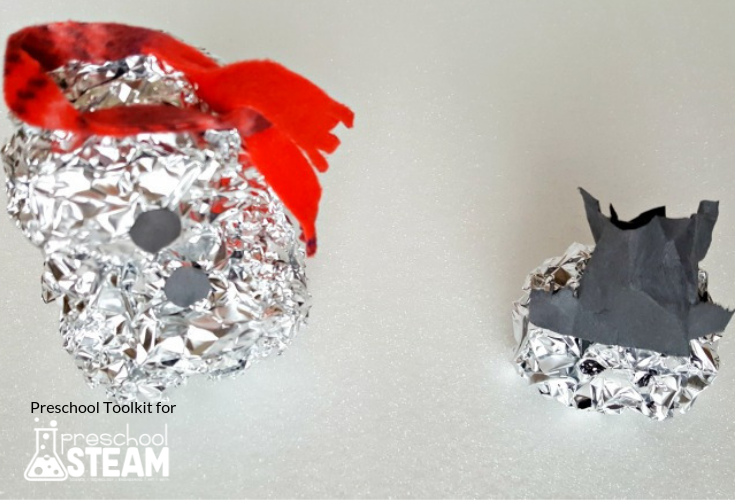 The foil snowballs are easy to make, and can be stacked one on top of the other to make the snowman. The size of the snowballs varies according to how tightly the flat pieces of foil are squeezed or compressed to make the snowballs. Pressing down on the snowball as it is stacked helps keep it in place. The scarf helps keep the head in place. This is an activity that offers lots of opportunity for trial and error. Kids will observe results each step of the experiment, and alter conditions as they proceed. Choose larger or smaller sheets of foil. Use more or less pressure when crumpling foil in your hands. Smooth, or press flat, portions of the foil balls where they come in contact with each other.